The ultimate hair stylist and barber scissor hand crafted in Japan with Molybdenum steel for added corrosion resistance and hardenability. 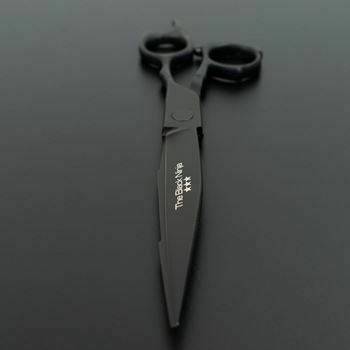 The Assassin is one of our best selling 5 star scissors designed for the advanced hair stylists and professional barbers. A great all-round hair cutting scissor with the advantage of a wider blades for quick, accurate and powerful cutting. 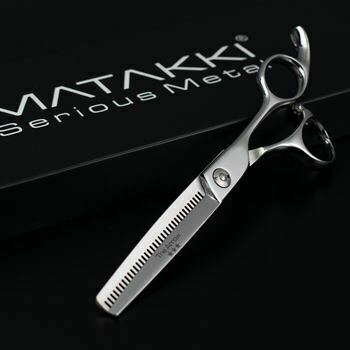 We are so confident with our products that we offer an exclusive lifetime guarantee plus an accidental 12 month drop warranty, drop your scissors within the first year and Matakki give you a free service worth £30! See our drop warranty section for more information.